As I said last week, this isn’t my best project. I had high hopes, but it just didn’t turn out exactly like that picture in my head. But it’s okay~it’s good for you to see that not all diy projects turn out “look at this, it’s amazing and soooo easy!” :) And do you know how you pore and labor over something and that is ALL that is on your mind and it seems that every detail matters, but then once you get it up in the room, you realize it’s not as bad as you thought? And I’m NOT re-doing it, at least not this year. I’m happy with it for now, and maybe forever? I’ll try to tell you what I wish I would have done as we go along here. We had this piece of pegboard downstairs from the previous owners and I was going to use it in the garage or down in the office, but I thought.."hey…..that could be a free headboard.” I cut a little off the edge to make it work as a queen headboard. If you buy a sheet of pegboard at Lowes or Home Depot, bring your measurements, and they should be able to cut it to size right there for you. And then, the logical thing to do would be to sew some buttons on right? and started “tufting” with my trusty staple gun where all the little threads came through. Then, I just hot glued them over the staples. And it’s not the most exact, beautiful thing in the world, but with some smashing good pillows and the mirror above it, I’m going to make it work! I just pulled out our mattress a little, and it is resting on the box spring. That’s it! It is much more comfy to prop up against and read, and it cost under $40! See you tomorrow, I’ll have the linky up at 11 a.m. eastern time! 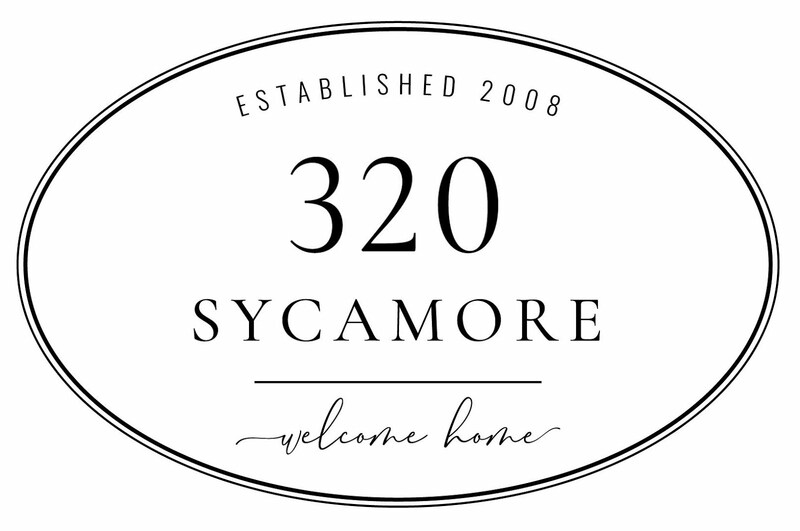 320 Sycamore is now on Facebook~click here to come join us! I am sure u have already thought of this and I am sure there are reasons you haven't done it but couldn't you flip it around and make the top the bottom, and continue the tufting on the part that you left so it is not as close to the top. I realize this only solves one problem. I still think it looks great!!! Oh I think it turned out awesome, but I know what you mean when you had certain expectations. 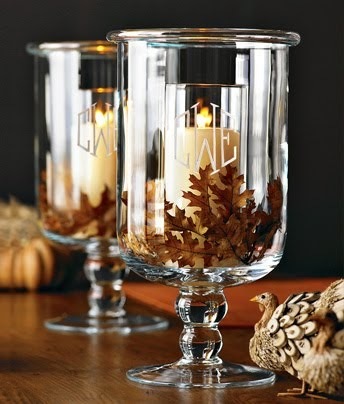 Love the neutral color and I'm sure you'll be adding some color and pattern. Can't wait to see how it all looks. I adore that you posted this project, even thought it didn't turn out exactly how you wanted. Your advice and suggestions give me the courage to try this, with the knowledge that even If it isn't perfect, the end product can still be pretty darned good and that's ok too. Thanks! Okay I just have to ask - the mirror above the headboard or above the bed? you weren't exactly clear but either way it made me giggle so thanks! Hi Kate! You can just get the button cover kits at a craft store and cover them yourself. See above for the tip about using a rubber mallet. The final dimensions are 4 ft tall by 64 inches wide and it rests on our box spring. Good luck! I DOES look great. And you are SO funny! LOL Your funny! You're right it will look great when it all comes together. Thanks for the directions and the 'shoulda, coulda, woulda' parts too. You are so right. I can't turn it upside down, because the foam only goes about 3/4 of the way down, the rest is flat and behind the mattress. Does that make sense? I think it looks beautiful! I would never be able to create something like this, so great job! I would definitely check out LGN's tutorial on tufted headboards at http://littlegreennotebook.blogspot.com/2011/11/sponsored-post-how-to-upholster-framed.html. She tufts first and then attaches the edges. With using staples I would be concerned that the fabric will eventually rip through but looks easier than the traditional sewing! oh pfft missed a couple letters copying and pasting, it IS there. I have nailhead trim on a roll! I may just add it...thanks for the suggestion! That is a great idea, Abby. It might even things up a bit, huh? Thanks for the thoughts! wow, i Love tufted headboards like this one. It's very simple. I would have used a bold color like dark pink or orange, or lime color. I am going to rember the peg board trick you thought of, another great tip. Not too bad for a first time though! Maybe adding a frame around it would also add to it? I still have to attempt making one myself! I think it looks great. And for under $40?! You can't beat that. You know that if you spent more time and more money it is inevitable that someone would get something on that pure white beautiful headboard. As for the buttons on the top, would it make a difference if you turn it upside down? Can't wait for your party! Always good to know you are not perfect! ;) I think your headboard looks good! I see what you mean about not starting so close to the top but overall I think you have a good product and I bet you will like the finished product. The price is right and it looks pretty darn good! Kudos to you for sharing the good and the not-so-good and keeping it real for your readers. L. I. B. !! That is right up my alley! I am inspired and uplifted that something so 'classy' can be accomplished in an hour with a staple gun and some crap from the garage! I'd never have the patience to cover all those buttons so I'd have used pennies on old burlap or something. Darling! Thanks for tackling it without being too fussy! Faithfully following! I like the idea of staples + hot glue - seems soooo much easier than "real" tufting. Can't wait to see the room come together!! I think it looks good! The only thing I would add is one more "tuft" in the third row from the top at the very right of the picture - so that the new tuft lines up with the one on the end of the top row. And maybe two tufts on the left ends of the 2nd and 4th rows (if that makes sense?) The top row wouldn't look so close to the edge if it was intentionally like that on the sides too! Just my thoughts, but it does look great and so impressive on a budget! Love it - not too bad, not too bad at all. If you think you started too close to the top though - couldn't you just flip it around and the bottom be the top and the top be the bottom? Just a thought. I think it looks pretty darn good!! I think you did a great job, Melissa! Genius to use pegboard, too. I'm sure it would make tufting with sewn buttons so much easier. That is the coolest idea:) I would have never thought of that. Thanks for the tip!! Thank you. Great tutorial and über easy. My kind of DIY. I'm with you, next time I'll take my time and be skinny and brilliant and ..... Ok back to the projects. Thanks for sharing! I think it looks fine for a first time. It's functional and with pillows it willbe mostly hidden. If it really bothers you I would remove the top buttons and add some nailhead trim around the whole thing. You could get it at Jo-Ann's with a 40% coupon off as well and it would finish it off nicely.